both graduate bakery technology engineers, founded an organic bakery in 2004. We had the desire to bake good bread and researched in this context many raw materials, cultivation methods and dough loosening agents. Considering the idea of the underlying polarity of honey and salt, we started in 2005 in our bakery with the production of honey-salt bread. 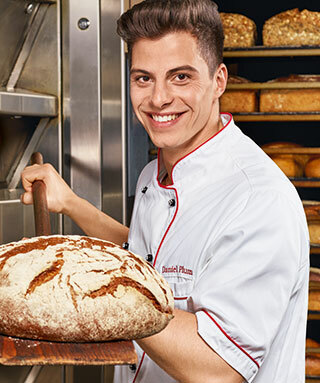 After years and thus extensive experience with honey and salt bread, we first developed BackNatur Ferment, a mild baking ferment used for the production of baker's yeast-free bread. Only spontaneous fermentation is used for production, which makes use of the cereal present, which nature has produced from it through the conditions of the seed (time of sowing, location, climate), growth (temperature, amount of rain, solar radiation) and harvest (time, state of ripeness). Another development was the BackNatur rye ferment, a vegan sourdough starter that is reliably suitable for the artisanal production of bread and rolls.